With their insensitivity to decoherence what are known as Majorana particles could become stable building blocks of a quantum computer. The problem is that they only occur under very special circumstances. Now researchers at Chalmers University of Technology have succeeded in manufacturing a component that is able to host the sought-after particles. Researchers throughout the world are struggling to build a quantum computer. One of the great challenges is to overcome the sensitivity of quantum systems to decoherence, collaps of superpositions. One track within quantum computer research is therefore to make use of what are known as Majorana particles, which are also called Majorana fermions. Microsoft is also committed to the development of this type of quantum computer. Majorana fermions are highly original particles, quite unlike those that make up the materials around us. In highly simplified terms, they can be seen as half electron. In a quantum computer the idea is to encode information in a pair of Majorana fermions which are separated in the material, which should, in principle, make the calculations immune to decoherence. So where do you find Majorana fermions? In solid state materials they only appear to occur in what are known as topological superconductors – a new type of superconductor that is so new and special that it is hardly ever found in practice. But a research team at Chalmers University of Technology is now among the first in the world to submit results indicating that they have actually succeeded in manufacturing a topological superconductor. 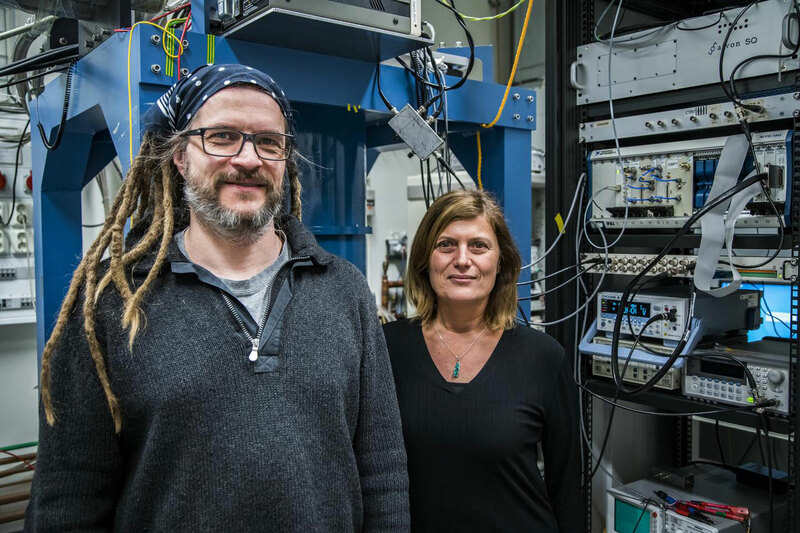 “Our experimental results are consistent with topological superconductivity,” says Floriana Lombardi, Professor at the Quantum Device Physics Laboratory at Chalmers. To create their unconventional superconductor they started with what is called a topological insulator made of bismuth telluride, Be2Te3. A topological insulator is mainly just an insulator – in other words it does not conduct current – but it conducts current in a very special way on the surface. The researchers have placed a layer of a conventional superconductor on top, in this case aluminium, which conducts current entirely without resistance at really low temperatures. Hello There. I discovered your weblog the use of msn. This is a very smartly written article. I’ll be sure to bookmark it and come back to read more of your helpful information. Thanks for the post. I’ll certainly return. Hello! I could have sworn I’ve been to this website before but after browsing through some of the post I realized it’s new to me. Anyhow, I’m definitely happy I found it and I’ll be book-marking and checking back often!